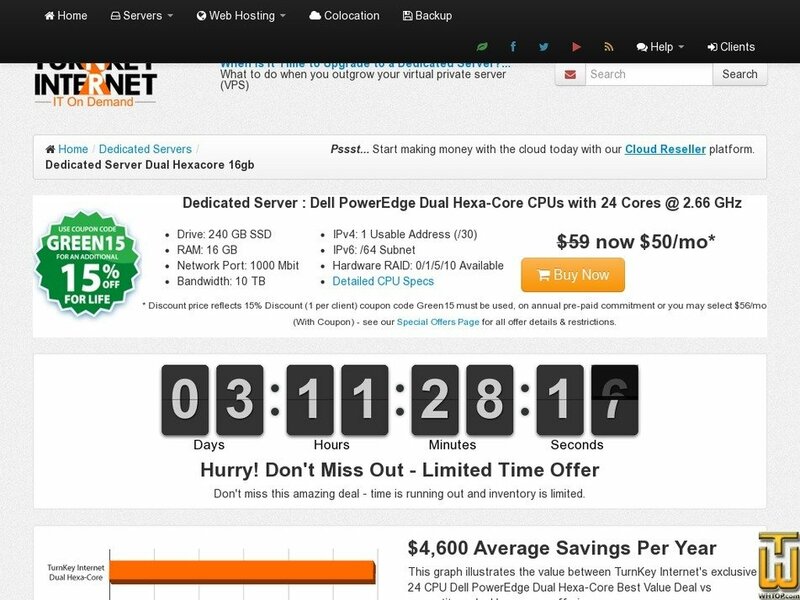 Dedicated Server Dual Hexacore 16gb, #63635, USD 50.00/mo. Plan #63635, Dedicated Server Dual [...], $ 50.00/mo. See also original Dedicated Server Dual Hexacore 16gb plan location on their website! We've designed our server configurations to power the most common & demanding workloads at unbeatable prices.